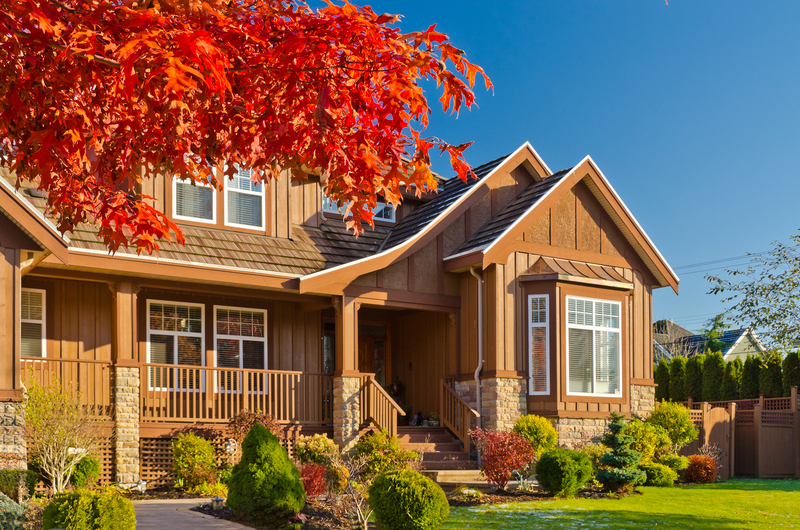 As the summer winds down and the temperatures start to drop, it's time for homeowners to start planning for the coming fall season. Although autumn is a beautiful season, and many believe it has the best weather of the year, its natural results can cause a good deal of grief for the responsible homeowner. If you don't prepare your home for the fall, you can easily accumulate a good deal of debris and difficulty, which will make it even more difficult to prepare for the winter. Fortunately, getting your home reason for fall is not too difficult. Here are a few tips to help you get your house in great shape. When getting ready for the fall, your first step is to put away and clean up all of your summer accessories. Clean and secure lawn furniture that will be stored for the cool seasons, and maintain pieces that are strong enough to stay outside. Clean up garden debris from your annual vegetable garden and compost the remnants, so they don't breed unwanted pests or fungal diseases. Store all your summer accessories securely, so that When summer returns, you'll be ready with very little effort. The end of summer is a perfect opportunity to walk around your house and look for problems before they get out of hand. Check your foundation, roof, and exteriors for damage. Most importantly, look for signs of insect damage and take action right away by hiring a professional local contractor to fix the problem. For example, if you need pest control La Plata MD contact a well-respected company like Waldorf Termite and Pest to fight insect infestation before it ruins your home. Before the autumn leaves start falling, make a plan to combat the leaves without a lot of sweat. Don't waste the resource of the leave's organic material by throwing them away, though. Instead of bagging your leaves, rake them into a pile and run them over with your lawn mower. This will create a fine mulch that you can use around the base of your trees, as well as bushes and shrubs. Leaf mulch protects against weeds and keeps your lawn looking great. Best of all, it's a free gift that you get from the trees every autumn!